One big run too many as Lady Royals season ends. Markayla Jenkins squares up to shoot. Though the Lady Royals had won just five games going into their region tourney opener against Dublin, they�d been competitive in many of them. Several times, BC would trail early, attempt a rally but fall short. That was the case in their previous game against the Lady Irish, coming back from 19 down in Dublin only to lose by four points. Daelyn Harris made this jumper. A similar scene played out Monday night in their region tournament opener against the Lady Irish. 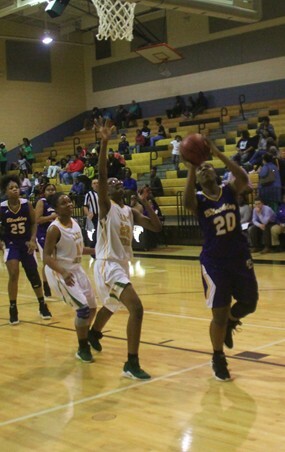 Jalexia Taylor�s basket near the end of the first half had drawn Bleckley to within 21-19. Dublin opened the third on a 15-3 run. The Lady Royals closed 10-0 and were within four points going to the fourth. Jalexia Taylor beats her defender to the basket. Another big Irish scoring run, 14-1 to begin the fourth, appeared to blow the game open. 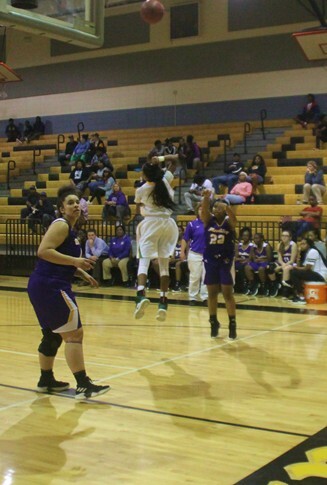 BCHS again answered and was within six on Tesa Taylor�s basket with 1:23 remaining. 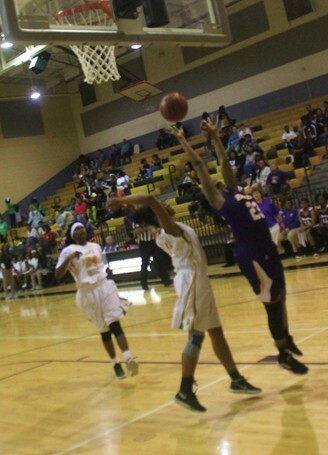 It was too little, too late, however as Bleckley lost 61-52. They finish with a 5-21 record. Tesa Taylor scored late to help draw BC close. Alyssa Fortune scored a career-high 16 points. Markayla Jenkins had 15 points. 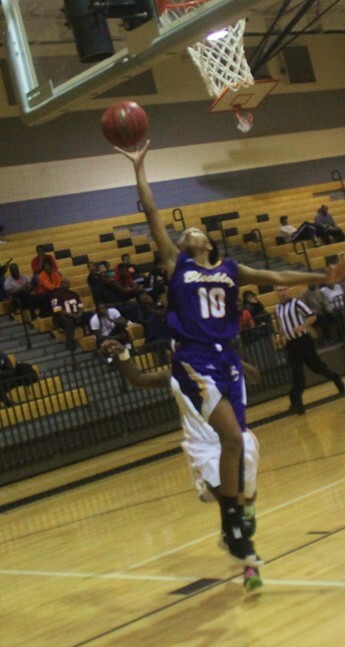 Jalexia Taylor finished with 14 points. The Royals open region tournament play against Southwest at Dublin High School. Tip time is 5:30 pm. Note. the semifinals and finals have been moved from Central Georgia Technical College's gym to Southwest High School.